The Spring on the Farm Egg Hunt event will be held on Saturday, April 13. Children of all ages are invited to participate in the Spring on the Farm Egg Hunt. The event will be held on Saturday, April 13 at the AGRIscapes Center at Cal Poly Pomona, 4102 S. University Drive in Pomona, next to the Cal Poly Pomona Farm Store. 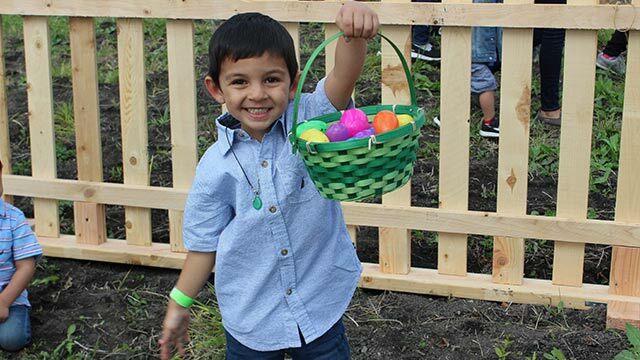 Kids can hunt for eggs at one of three different times: 10 a.m., 10:45 a.m., and 11:30 a.m. The event will be held at the AGRIscapes Center at Cal Poly Pomona, 4102 S. University Drive in Pomona, next to the Cal Poly Pomona Farm Store. After the hunt is over, each child will exchange their eggs to receive a bag with candy and prizes. Those lucky enough to find one of the “Golden Eggs” will receive a special prize. Admission also includes the Cal Poly Pomona Petting Farm, children’s garden activities, hay wagon rides. The Easter Bunny will make an appearance and hand out goodies to children. All people entering MUST purchase admission tickets except children under 2. Admission for children 2 to 12 is $8 in advance online or $9 at the event. Adult admission is $6 in advance online or $7 at the event. Children must bring their own basket or bag and arrive at least 15 minutes prior to the selected egg hunt time. Limited free parking is available by following the signs to enter off South Campus Drive at Temple Avenue. Parking in “lettered” campus lots requires purchasing a parking permit. For safety reasons, please do not bring pets to this event. Only service animals will be allowed.